Gospel, soul, blues, jazz, and R&B are all combined here. 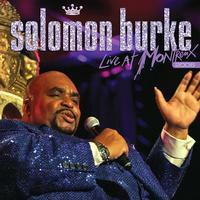 This is a live performance by the late great Solomon Burke. While most of the songs are great, the whole thing sort of flows more like one show than it does a series of songs. In other words, for the most part, the whole here is greater than the sum of its parts. Burke was an amazing performer and a great singer. He assembled a band that was up to the same kind of standards he projected. I’m reviewing the video of this album in this same issue of Music Street Journal, so that will focus a bit more on some of the nuances of the performance. Let’s just say this is a great album to pop into the CD player and let run. It’s a fun time. Seeming like we joined in the middle of the performance, this is a smoking hot soulful blues tune. There are some great instrumental performances as Burke directs different parts of the band to show off. More of a bouncy, almost gospel sound makes up this cool R&B tune. It’s another strong one and presents a different side of Burke’s sound. A slower groove, this one has a lot of gospel built into it. Jazz and soul are combined in this tasty number. The crowd interaction is fun here, but it seems more like the kind of thing that works better if you are there. Still, it’s a cool groove. I love the backing vocals here and this is one of the stronger tunes here. It really rocks. A slower tune, this is much more of a blues jam. The vocal performance is among the best of the set, but the musicians deliver, too. I especially dig the saxophone solo. This is really a classic tune. While I prefer Marvin Gaye’s version, the argument could be made that this one is more soulful and better. It drops way down to a mellow vibe for the start of this cut. It gets a little more powered up later, but overall remains a slow and fairly stripped back blues number. This one comes right out of the other one. In a lot of ways it feels like a continuation of that tune. It’s another strong performance. I think the vocal delivery on this is among the best here. No one can ever touch Louis Armstrong on this song. That said, this performance comes pretty close. I really like it a lot. It’s a great tune and Burke delivers a great performance. Personally, I think they should have skipped this song. I know Burke was letting his grand-daughter Candy Burke have some of the spotlight, but in the first place, this isn’t a good song. Secondly, she just doesn’t have a voice that works in a lead vocal roll. This is a song that’s worthy of a quick “skip” for sure. A more powered up soulful tune, this is a great one. It’s a good way to get things back on track in no time. Here’s a full on gospel tune. It’s not really my kind of thing, but it works pretty well. Continuing from the previous one, this works a little better. It’s got more energy and there’s a killer guitar solo. Here’s a slow, mellow (but very cool) blues tune. Another gospel piece, this is delivered with a really bluesy musical motif. Powered up with the kind of arrangement one might expect from The Blues Brothers, this is how it should be done. It’s a fun tune that really rocks. The harmonica later is a nice touch. This Louisiana styled gospel tune comes right out of the previous one. They deliver it with style and character. There are some great instrumental moments and the vocals are right on the money.